The 75-year-old actor revealed that this was the first time when he wore a suit and also attributed Teji Bachchan for his "fashion and style senses." Bollywood megastar Amitabh Bachchan, who will be seen next in Thugs of Hindostan, always has some lovely surprise for his fans. In one of his recent social media posts, Big B has shared a throwback picture of a younger himself when he wore suit for the first time in life. 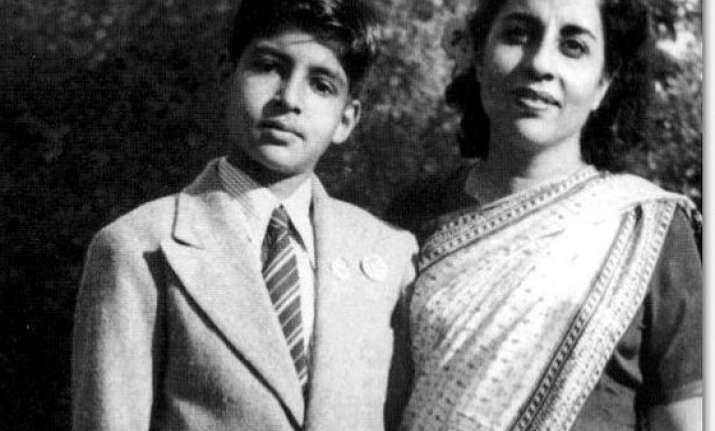 The black and white photo showcases a young Amitabh Bachchan along with mother Teji Bachchan. The 75-year-old actor revealed that this was the first time when he wore a suit and also attributed Teji Bachchan for his "fashion and style senses." Taking to his Instagram account, Amitabh Bachchan wrote, “Ma and Me... very early 1950's ... Mother gave me all my fashion and style senses... This the first suit she made me wear, tie and all, for an event in Allahabad... Those sensibilities never changed." On a related note, Big B took to his blog and said, “Serenity not just in the woods and the skies above, but on the work place as well. A serenity of a different kind that exudes diligence and sincerity, speed of compliance, organising mastery, orderly management and professional diligence. Previous StoryS Durga filmmaker lashes out at IFFK, organisers react Next StoryBigg Boss 11: Ex-contestants Benafsha Soonawalla and Sapna Choudhary are bonding well outside BB house!